Mental health and addictions issues are often the subject of discrimination and stigma and routinely affect the lives of people with lived experience. Negative attitudes and stereotypes lend themselves to discriminatory practices, which can violate the rights and freedoms of people living with mental health and addictions disabilities, such as those defined by the Canadian Charter of Rights and Freedoms, and the Ontario Human Rights Code. It is therefore essential that necessary accommodations be provided for these individuals with disabilities to ensure equity and equality in all aspects of life, including employment, housing, and customer service. 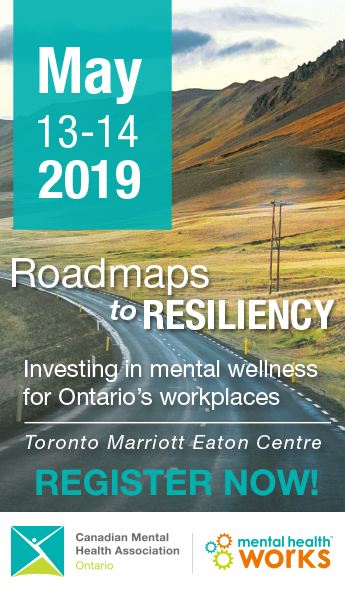 CMHA Ontario has worked extensively on accommodation and accessibility issues and provides leadership in advancing mental health accessibility in Ontario. We often advise organizations on questions of compliance with the Accessibility for Ontarians with Disabilities Act (AODA) and, in 2015, provided submissions to the Accessibility Standards Advisory Council/Standard Development Committee on proposed revisions to the Customer Service Standard. The Ontario Human Rights Commission (OHRC) is an arm’s length government agency responsible for administering the Ontario Human Rights Code and advancing human rights in the province. The OHRC develops public policy on human rights and also conducts public inquires, initiates human rights proceedings and intervenes in proceedings at the Human Rights Tribunal of Ontario. The Human Rights Legal Support Centre is an independent government agency providing legal advice and assistance to individuals who have experienced discrimination in Ontario. The Accessibility for Ontarians with Disabilities Act (AODA) sets out a process for developing and enforcing mandatory accessibility standards in Ontario. This law applies to both the public sector and private businesses in Ontario that employ one or more people.